As Ghazipur District is the main centre of Ganga-Jamuni culture from its past, so festivals of all religions are celebrated in this district. 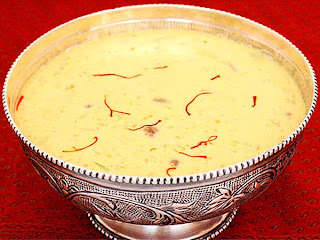 Raksha Bandhan, Baisakhi, Ganga Dussehra, Nag Panchami, Makar Sankranti, Janmashtami, Ramnavami, Ganesh Chaturthi, Vijaya Dashami, Diwali, Kartik Purnima, Vasant Panchami, Shivaratri, Holi, Id Ul Fitr, Muharram, Barawafat and Shab-e-Barat are the main festivals celebrated here. Buddha Jayanti, Mahavir Jayanti, Guru Nanak Jayanti are also celebrated. 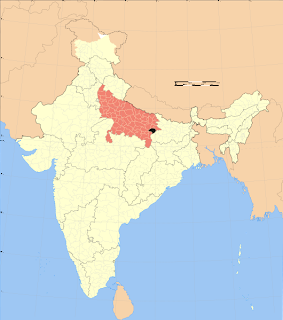 Ghazipur district forms the eastern part of the Varanasi Division.It is bounded on Ballia and Bihar State in east, Jaunpur, Varansi and Azamgarh in west , Mau and Ballia in north and the Chandauli in south .The boundaries are generally conventional though at places they are marked by natural feature. 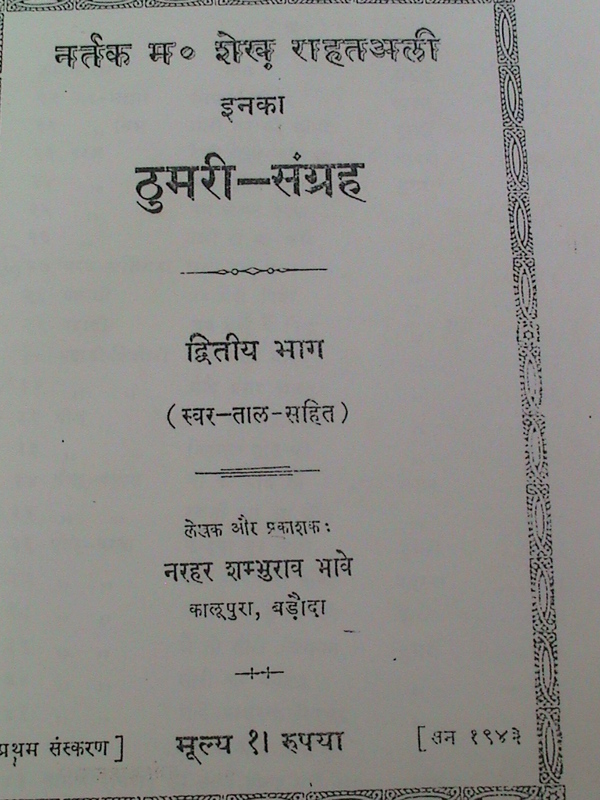 The language which the people of Ghazipur speak is Awadhi mixed Bhojpuri which originated from Prakrit-Apabharansha. 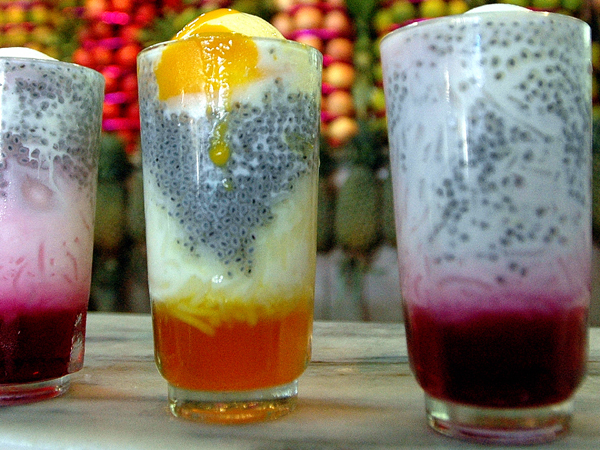 That is why Grierson had called it Ardha-Hindawi. 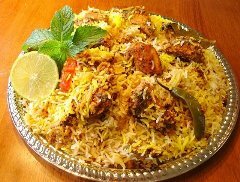 One thing is certain that Awadhi originated from Apabharansha. 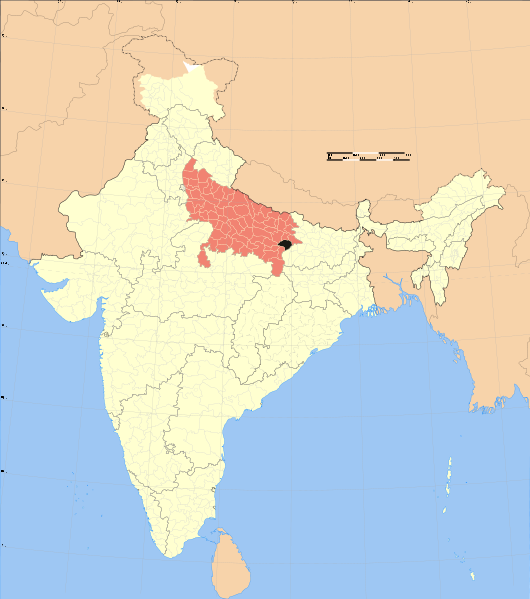 Awadhi is spoken within the physical boundaries of what was once Awadh province.In Varanasi ,Ghazipur,jaunpur and Gorakhpur areas, Bhojpuri is more dominant than Awadhi, though Muslims in these areas and even upto Muzaffarpur in Bihar speak Awadhi. The speech is dominant in country side. 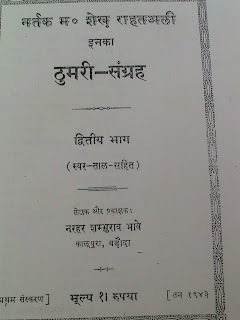 In urban areas, people speak Hindi or Hindi mixed with Urdu or Urdu, which was the language of the courts in Awadh. 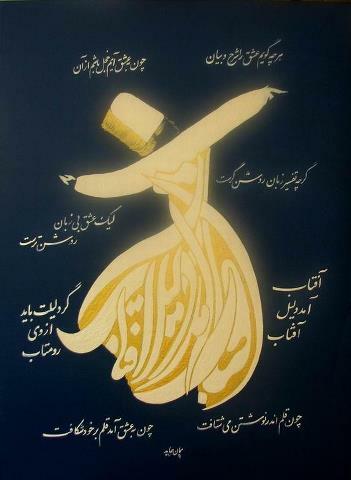 The spoken language became a charming blend of Persian, Urdu, Hindi and Awadhi.Especially,Sayeds and Shaikhs Of Ghazipur speak persianised Urdu and wrote many books in it. 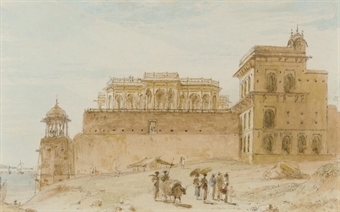 In the field of architecture, existing styles were re-interpreted and innovations were introduced, thus creating a fusion of the occidental and oriental style of architecture. The magnificent edifices in Ghazipur city standing proudly among the architectural skyline of the city are living examples of the ingenuity of the Nawabs. Ghazipur, spread evenly on both sides of the river, Ganga, is a perfect blend of oriental, European and modern architecture; Glitzy mosques,imambaras co-exist with the old monuments. 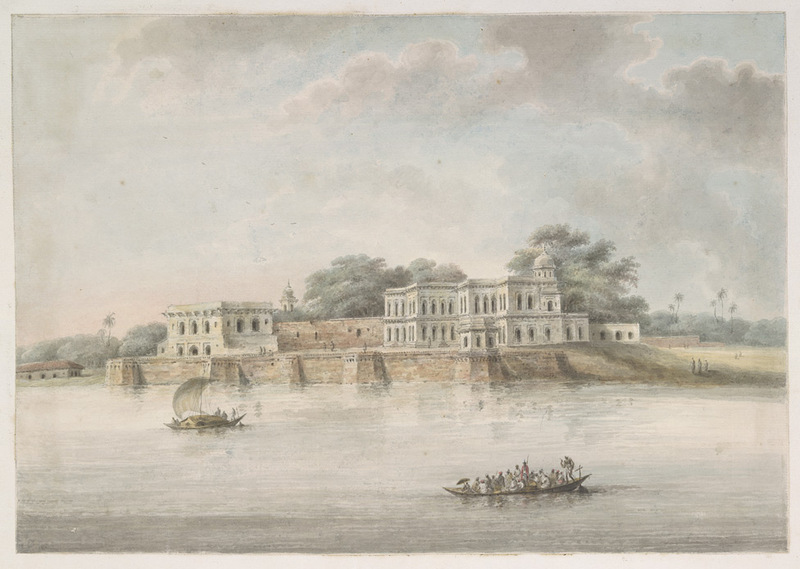 Ghazipur city had a reputation of what was considered best in taste, manners, refinement and culture. 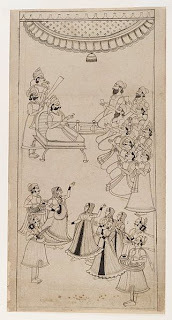 The ceremonious etiquette sometimes provoked laughter and parody, but the nawabi elites were oblivious to the rude world outside their court centered den. 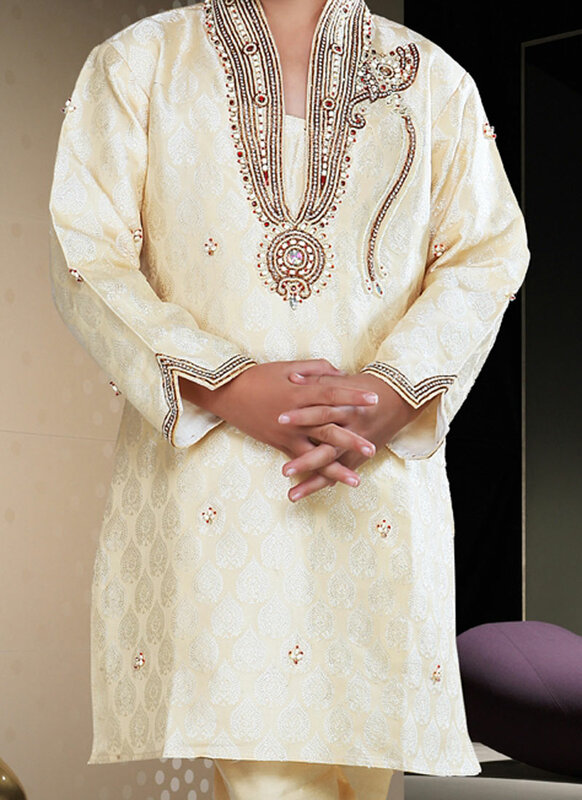 Chikan's Kurta, angarakha, Mirzai and Dupali topi are the wears of distinct Awadhi style. As the women of Hindus long for red-colour saries so the damsels of Awadh fix their hearts on 'Dhani Chunar'.On ceremonial ociasions, chapkan, achkan, angarakha and dagla wear are the standard outer garments. Headgear was the most impoirtant aspect of the dress and it was considered distasteful to step out of the house without a cap. 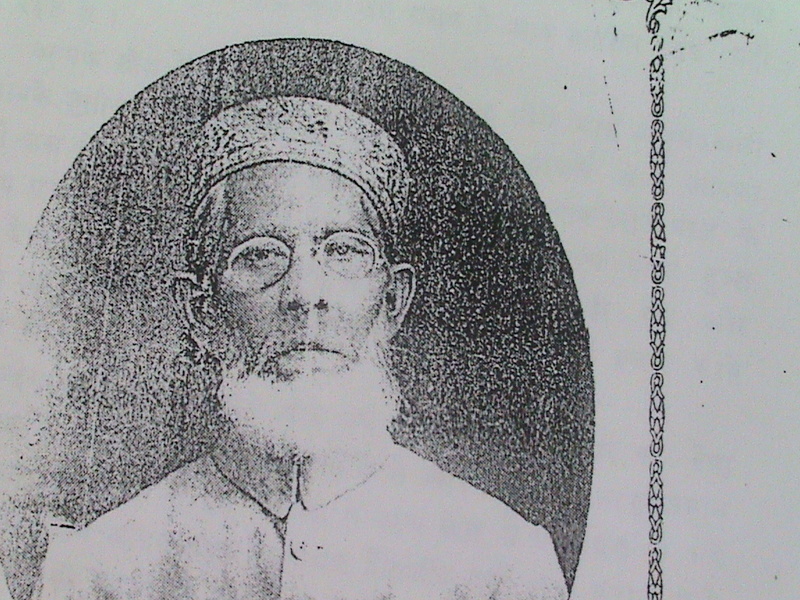 In Shaikh –Sayed families wore a variety of caps such as chaugosbia which was four segmented, qubsedar or dome shaped, Kashti numa or boat shaped, the dupali topi was and is the mark of a Lucknowian in Eidul Fitr,Eidul Adha and Muharram Periods. 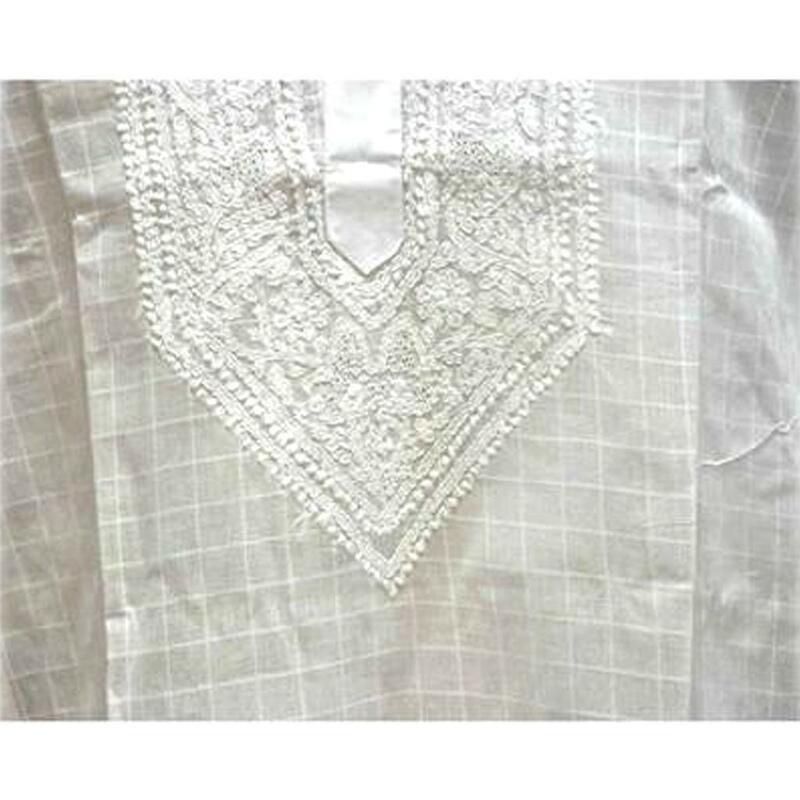 Traditional dress of women was an angia, a tight bodice and waist-length shaluka (tunic). 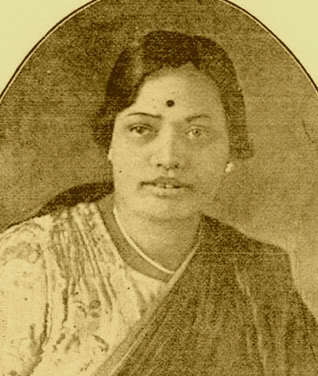 A guazy dupatta with kamdani covered her head. 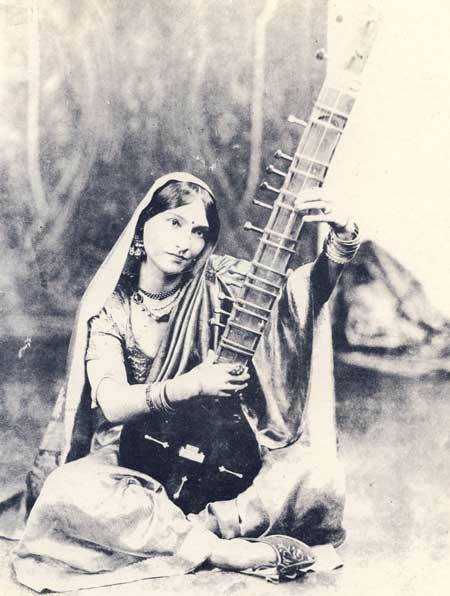 A long farshi gharara of atlas fabric with delicate zardozi embroidery swept along as she walked. 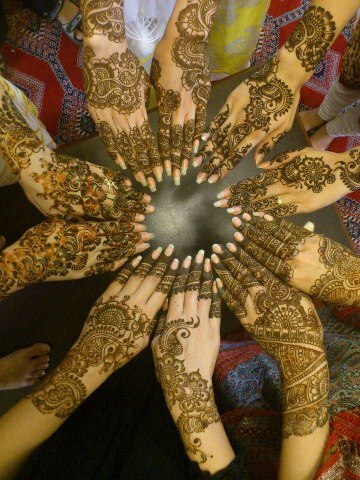 On festive occasions, they decorated every part of their bodies. They put afshan, mehndi, suramah and missi. The jewellery were of numerous types to be worn for head, neck, ankle and wrist. 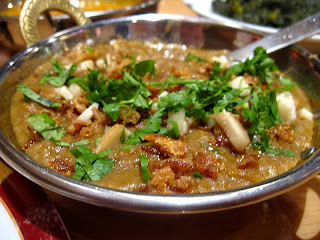 The Ghazipuri dastarkhwan would not be complete unless it had the following dishes: qorma (braised meat in thick gravy), salan (a gravy dish of meat or vegetable), qeema (minced meat), kababs (pounded meat fried or roasted over a charcoal fire), bhujia (cooked vegetables), dal, Pasinda (fried slivers of very tender meat, usually kid, in gravy). 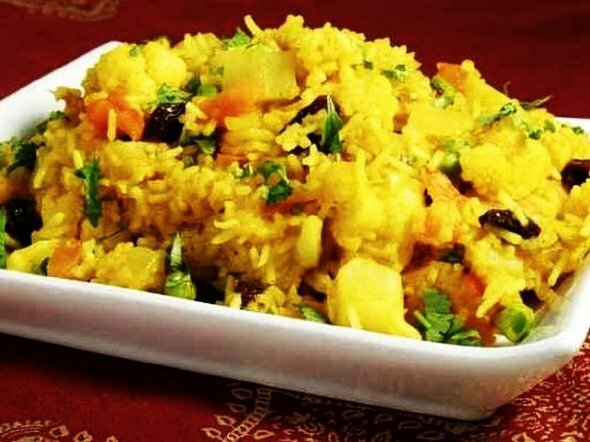 Rice is cooked with meat in the form of a pulao, chulao (fried rice) or served plain.Ghazipur is known for its large varieties of pulaos.Yakhni pulao, qorma pulao are the popular ones. 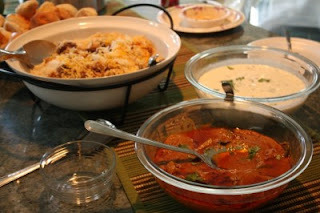 There would also be a variety of rotis, chapatis, naans, sheermals, rumali roti, parathas, kulchas . 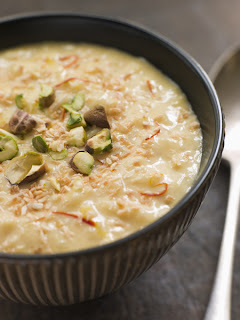 Desserts comprise gullati (rice pudding), kheer (milk sweetentned and boild with whole rice to thick consistency), sheer brunj, (a rich, sweet rice dish boiled in milk), muzaffar (vermicelli fried in ghee and garnished with almonds and saffron) and halwas garnisised with malai (cream). Utensils are made either of iron or copper. 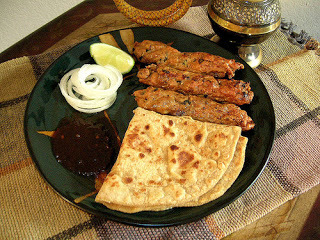 Meat kababs are cooked in a mahi tava (large, round shallow pan), using a kafgir which is a flat, long handled ladle for turning kababs and parathas. 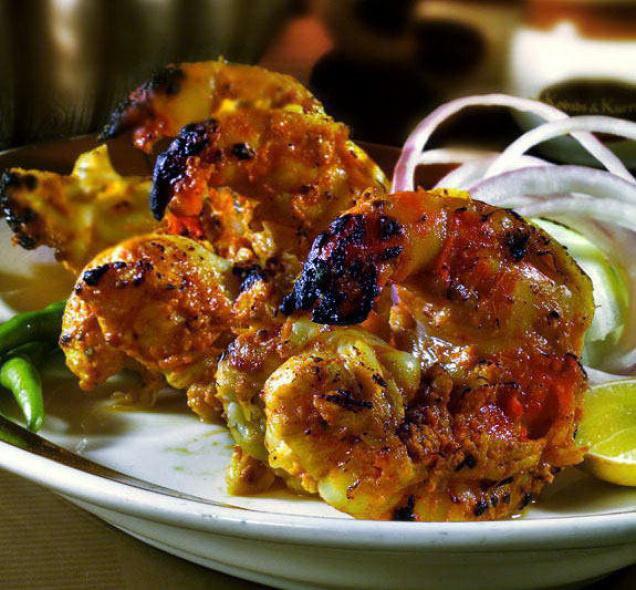 Bone China plates and dishes were used in some families of Ghazipur since the time of the Nawab of Ghazipur. Water was normally sipped from copper or stanless steel katoras and glasses. The seating arrangement, while eating, was always on the floor where beautifully embroidered dastarkhwans were spread on darees and chandnis (white sheets). 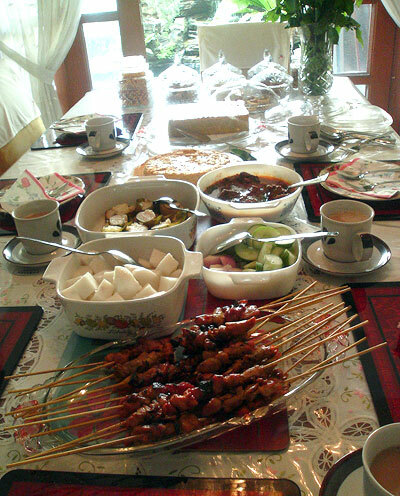 Sometimes this arrangement was made on a takaht or low, wide wooden table. 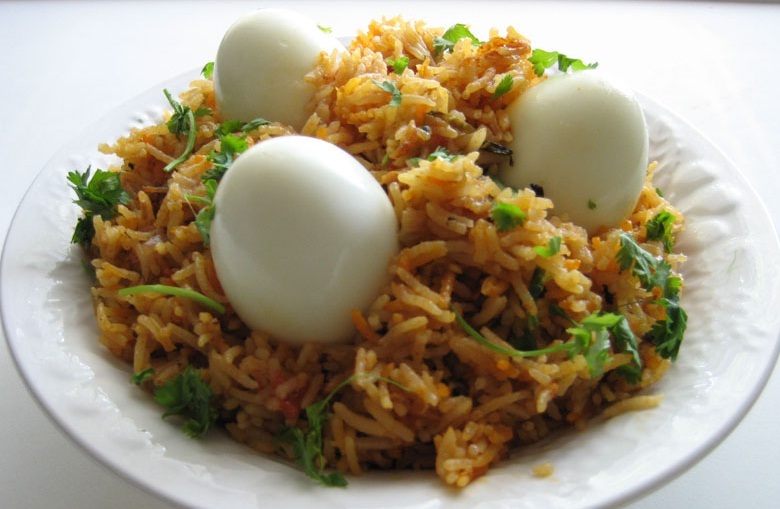 In Ghazipur especially muslim cuisine is generally considered the cuisine of the Nawab of Lucknow. The cuisine consists of both vegetarian and non-vegetarian dishes but has many unique dishes that catered to the richer tastes of the North Indian Royal class. 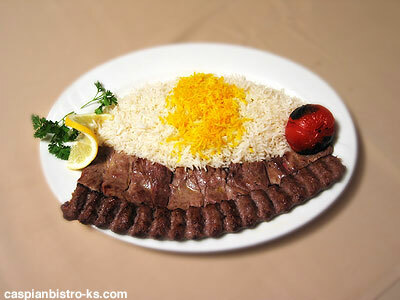 The cuisine shows strong influences from central Asia, the Middle East and Northern India. North India was regularly invaded by invaders from Central Asia, the Persians and Mongols. 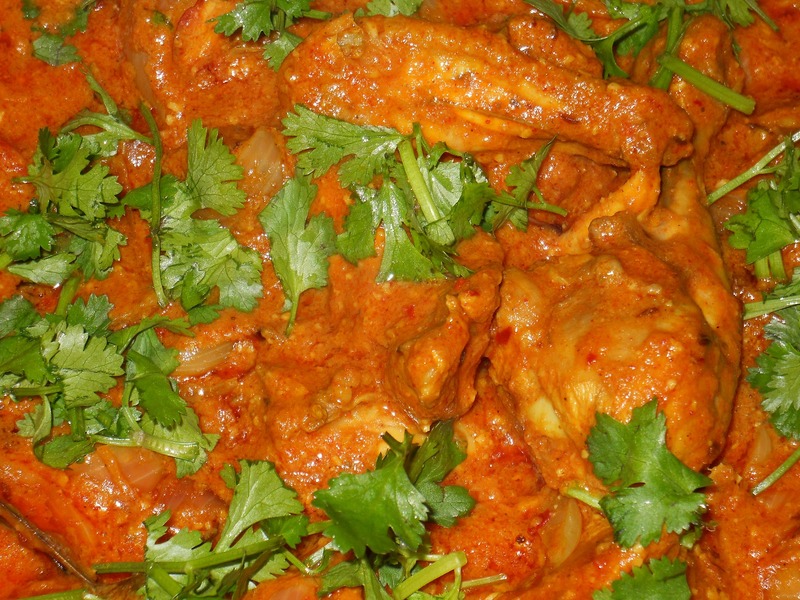 Over time, a few of the invaders settled down in the north of India, and adapted their meat based dishes to the local cuisine.Cuisine is a simpler adaptation of Moghlai cuisine to make it simpler and more palatable to the local ruling class of the time. 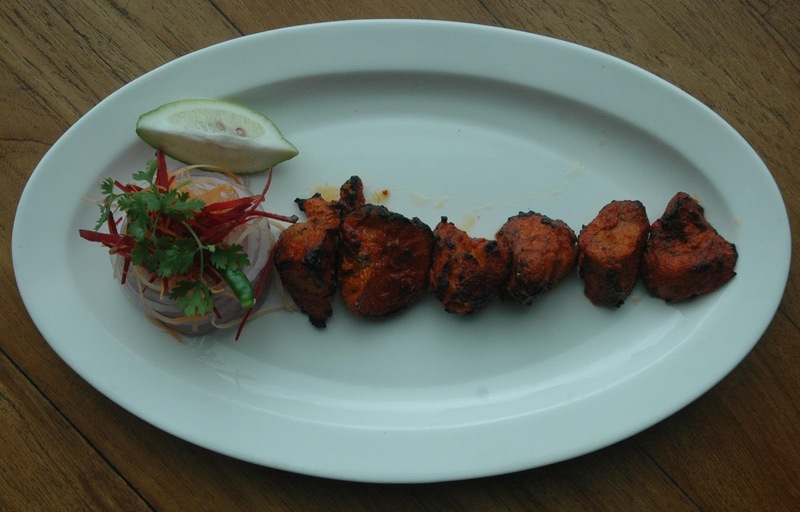 Meat dishes were designed to be much softer to chew on and smoother on the palate due to the lesser spices. 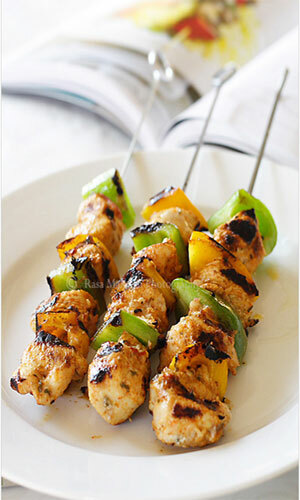 Kebabs and fried meats were generally quick fried on a tawa rather than on an open flame. 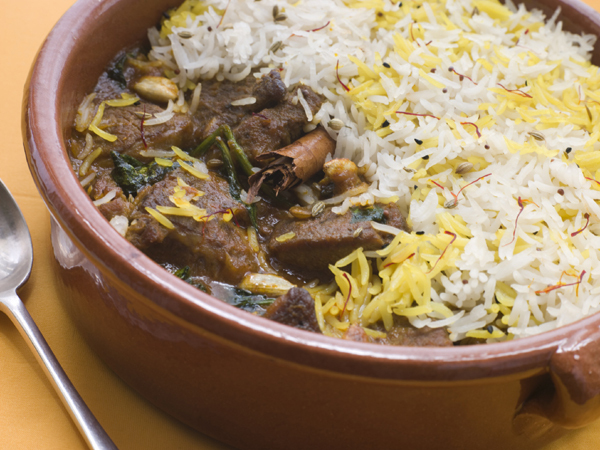 Awadhi cuisine was derived from Moghlai cuisine. But unlike moghlai cuisine, Awadhi cooks would marinate the food items in curd and use less spices. 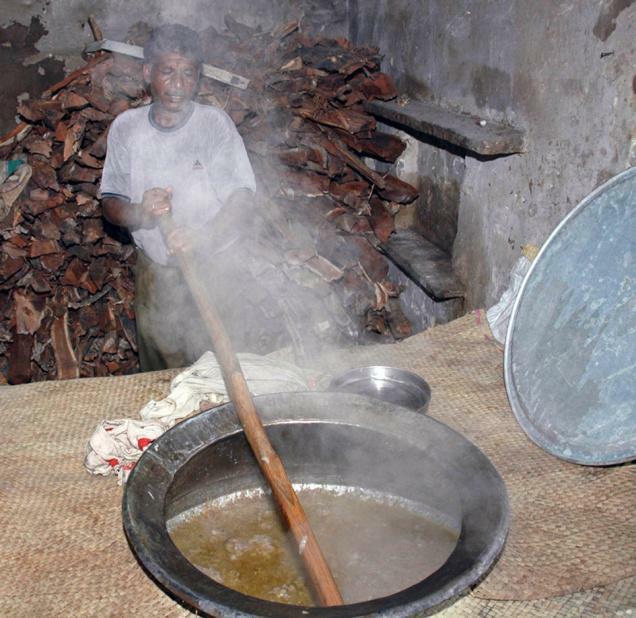 The food was then cooked slowly according to ancient awadhi cooking styles over a coal fire in a sealed dish. 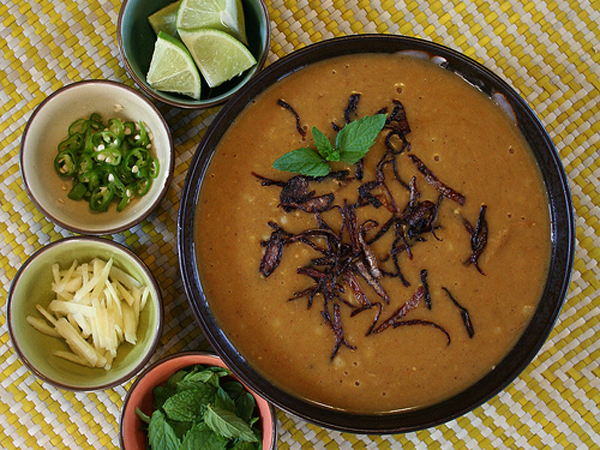 Haleem- soupy gravy cooked with boneless meat, broken wheat, lentils and grains flavored with spices. Tunde Kabab- a specialty dish which has a closely guarded 100 year old recipe. 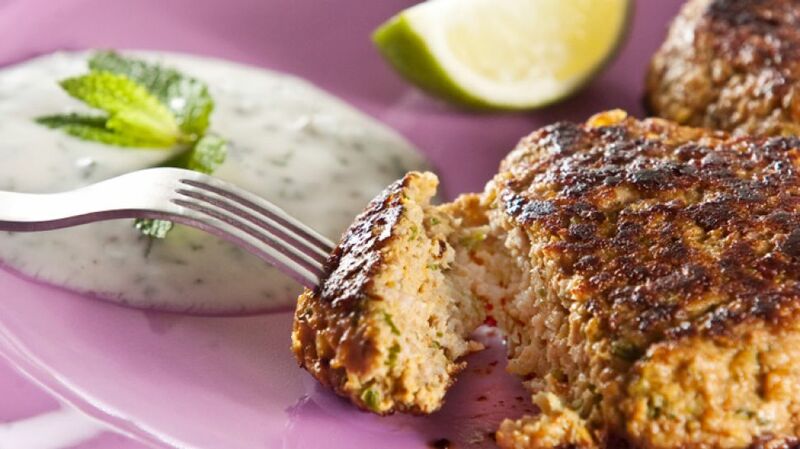 Kakori kabab, Galawat kabab and Shammi kabab are dishes which are soft tender pan fried pieces of minced meat. 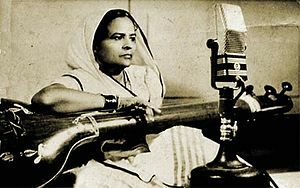 Dances like Kathak, music and songs like Thumri,chaita,Dhobia geet, Khayal, Dadra, Qawalis, Ghazals and Shero Shairi saw their finest hours. 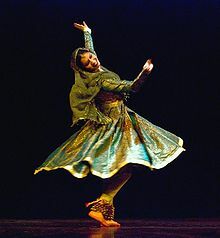 Kathak dance style has a highly developed and complex technique of footwork. The dancer and musician memorise the boles, rhythmic syllables, with the help of a system of clapping. 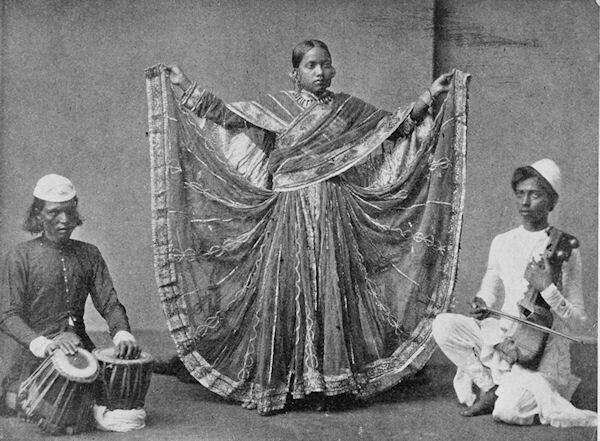 However, the dance boles and the tabla boles are different. 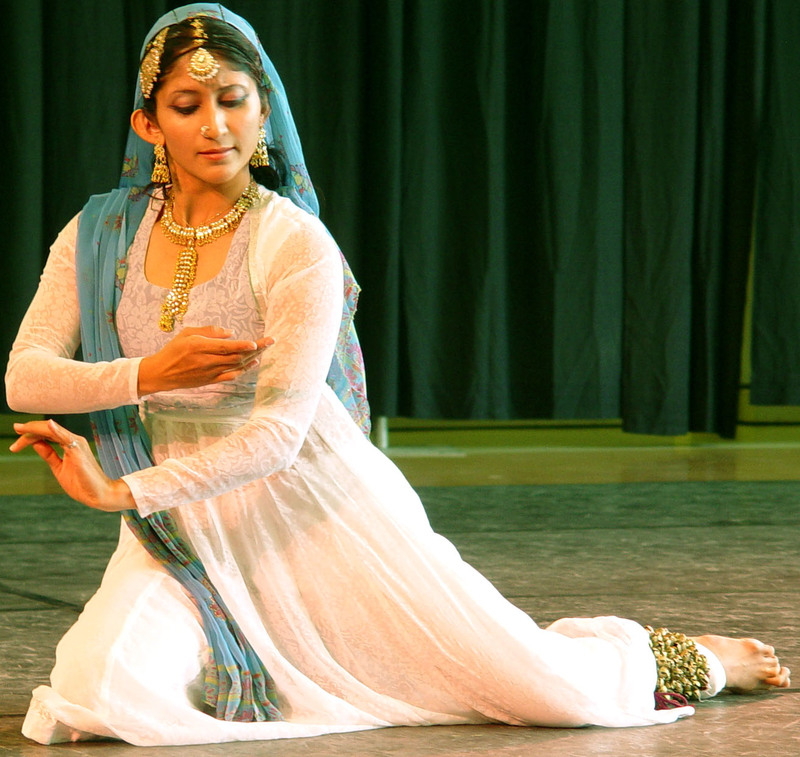 Pakhawaj also accompanies Kathak dance. 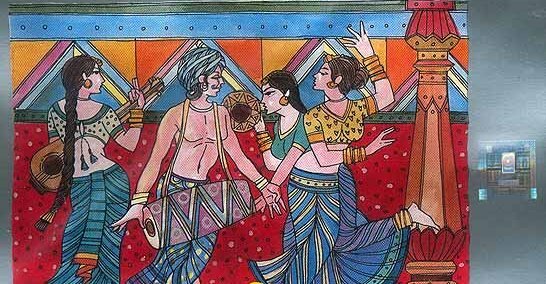 Nritya, an expression of sentiment and mood in dance, is an important aspect of Kathak Nritya items which are named after the styles of singing in which the words are rendered, so there are Dadra, Kajri,Thumri, Ghazal, Dhrupad and Kirtan. The accompanying bhava ( delineation of emotions and feelings ) is important. The greater the performer, the more variation he presents. Although Lucknow is regarded as the mother of Thumari, Varanasi Jaunpur and Ghazipur became thriving centers of popular Thumari , dadra ,chaita and produced large number of singers. "Babul mera naihar chhuta jaay"
Ruksat hai ai vatan, ham tho safar karte hain"
This is especially where the focus is on love, and many lyrics deal with separation or viraha. 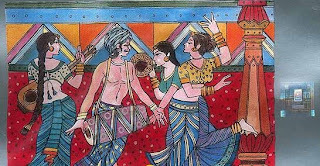 Krishna's ras leela or love play with Radha and other gopis of Vrindavan appear frequently. 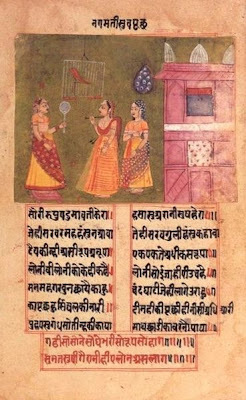 As an example, here are the lyrics of a thumri composed by the medieval poet celebrating Krishna's flute - how its tunes are driving Radha mad. 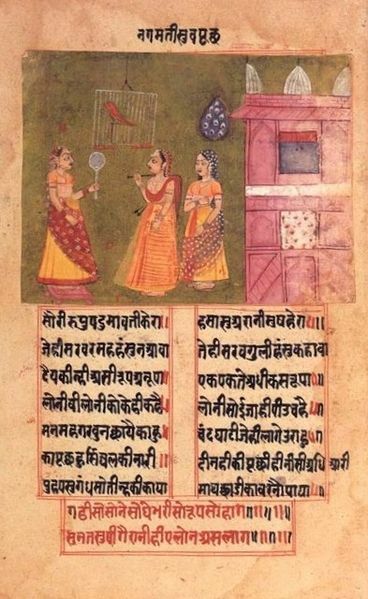 Braj or Vrindavan is where Krishna is indulging in this love play; Radha is the "girl of Braj". so will you please stop playing now? 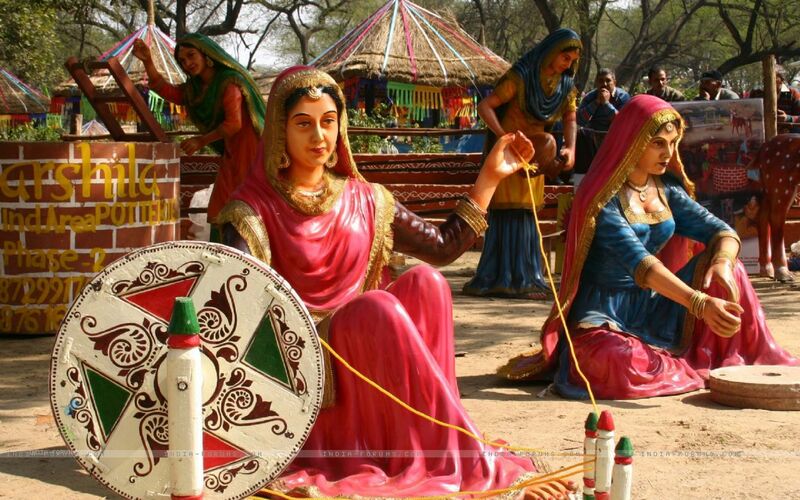 The courtesans of Ghazipur were justly famous for their culture and refinement. 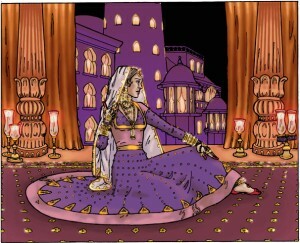 There were various types of tawaifs, courtesans and they were regarded as distinct from the level of common prostitutes. The sons of upper classes were sent to the tawaifs in order to round off their education. This used to happen till the early decades of the nineteenth century and some of the most prominent men had imbibed their culture from the tawaifs. 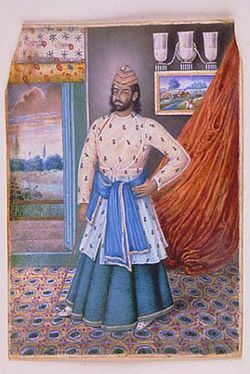 In the era of the Nawab and Zamindars, the stress was laid on minor details on the art and fashion of dressing apparels and jewellery, symbolic of a genteel life style. 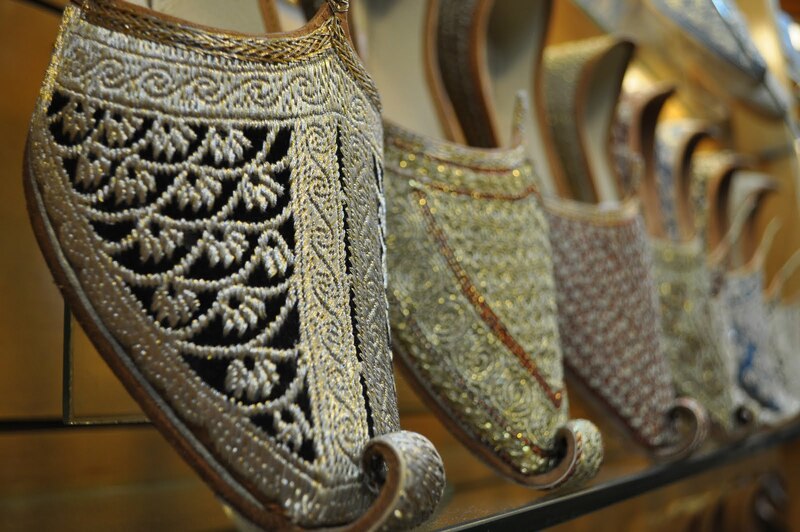 The legacy of exquisite embroidery still lives on. 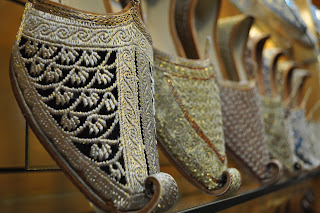 The royal élites of Ghazipur district were famous for indulging in extravagant past times like animal and rooster fights and kite flying, a game that still excites the passionate involmonent of flyers and bystanders alike. 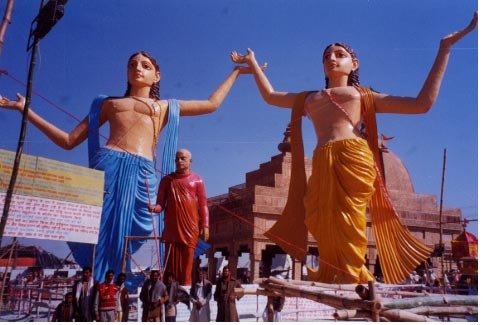 Festivals in Ghazipur are frequently celebration of exemplary cosmological, social, or personal victories. Typically, the core of a festival involves ritual activities through which the exploits of gods, goddesses, heroes, heroines, gurus, prophets, saints and leaders are brought to life. 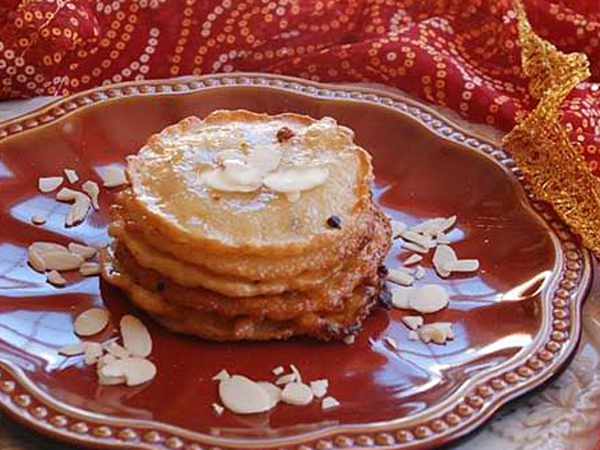 Many of these festivals link the home with outside world. They may be tied to the agricultural cycle and household work cycle, and hence be celebrated after harvesting has been completed or before sowing is neccssary. 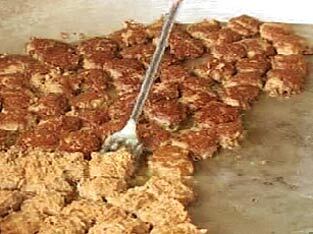 The foods prepared and served at such festivals also follow the seasons and crops grown. 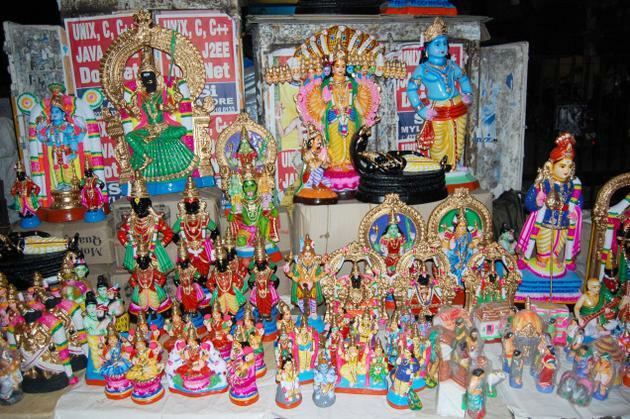 For Hindus, the activation of icons makes present the power of the various deities represented. 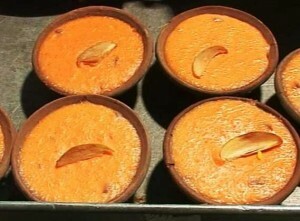 This presence is tranmitted to festival sponsors and audience by darshan or viewing the icons, by Puja or worshipping the deity, by eating Prasad, food permeated with the god's power , or by love or service to the God as indicated by singing his praises, dancing, engaging in a dramma, and other means. By participating in this way, festival-makers and goers are marked by the presence of exemplary figures, becoming more like gods and goddesses and hence better people. 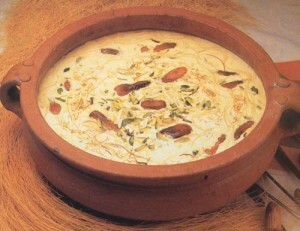 Each festival is however unique and distinct. This need not be elaborated. 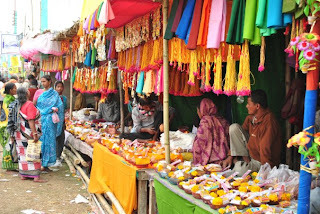 In Ghazipur, a mela or a fair is often a religious festival .Melas bring together ritual functionaries, artisans, craftspeople, dancers, musicians, speechmakers, dramatists, intinerant perfomers, sideshows operators, food vendors, merchandise hawkers, and throngs of parents and children. A fair provides the opportunity for people from different villages, towns and regions to meet and mix with others. It brings into contact people of various castes, classes, backgrounds and interests. Such people mix in a way not usually possible in isolation and relative homogeneity of their own home, neighbourhood, or social group. The word mela is itself derived from the sanskrit root, 'mil', denoting a meeting and mixing. At a fair, this mixing occurs by seeing each other, joining in processions, worshipping together, forming an audience for performances, eating food from a common kitchen, breathing open air, hearing the same sounds. A mela brings together society and articulates it in geographical, cosmological and historical settings. 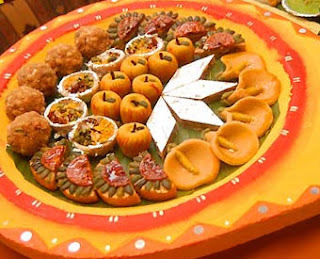 The time of a mela is set by motions and positions of the stars, moon, and planets. The location is set by the occurance of rivers, streams, and trade routes of caravan. The particular site is determined by the activities of gods, heros and saints. 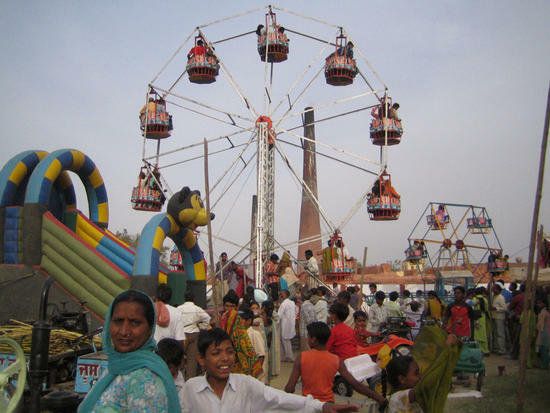 These fairs, beside their religious fervour and importance, do contribute to a great deal in providing entertainment to the people who get profusely involved in festivities and games. 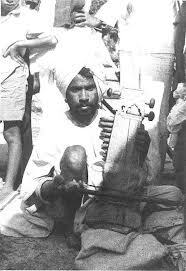 At places, there are Nautanki tents, circus shows, besides cultural events organised by Bhajan-mandlis and qawwals. 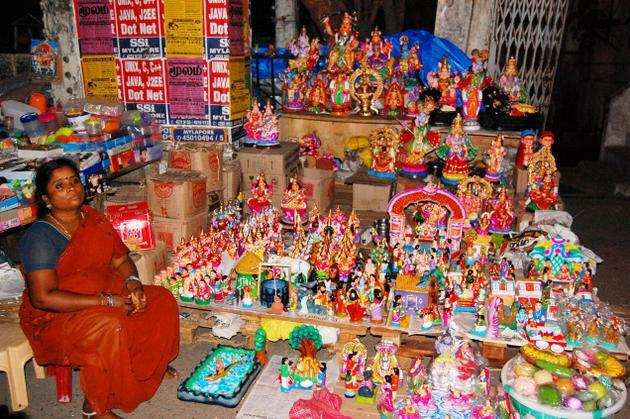 Artisans and craftspeople sell their works like toys, terracotta figurines, icons of deities, painted potteries. 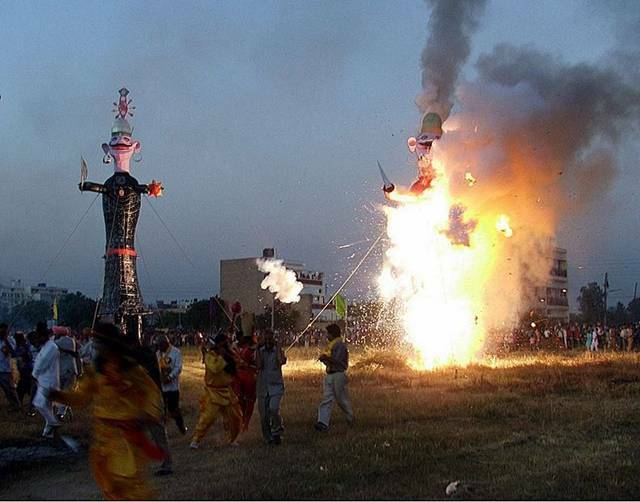 At times, mela goers feel deceived but people of Ghazipur hurdly mind this. 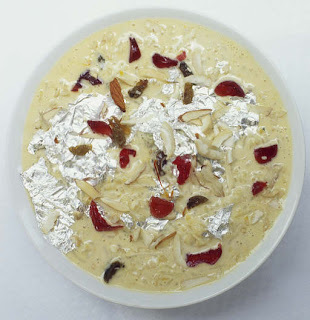 Naurata (Navratra), Ramnavami, Ashaduj, Akhti (Akshaya tritiya), Ganga Dusshera, Bargadahi (Vat Savitri), Ashadhi (Vyas Puja), Gudia (Nag Panchami), Raksha Bandhan, Kajari, Harchhat (Hal Shashti) Janmashtami, Tija (Hartalika), Ganesh Chauth, Ananat Chaudas, Pitri Visarjani Amavas, Nav Durga, Dusshera, Tesu -Jhanki, Sharad Puno, Karawa Chauth, Narak Chaudas, Deepavali, Dithawan (Devotthani Ekadasi) Bachchbanchch (Govatsa Dwadasi), Katki Harpuji, Mauni-Amavas, Maghi, Basant Panchami, Dala Chhath, Rang Bhari Ekadasi, Burhwa Mangal, Annakut, Shivratri and Holi etc. 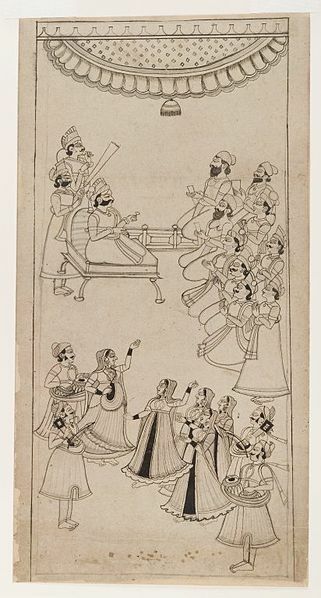 Awadh Ma Holi Khele Raghuvira". The ladies of Ghazipur feel shy in appliying gulal even to her devar (the husband's younger brother). 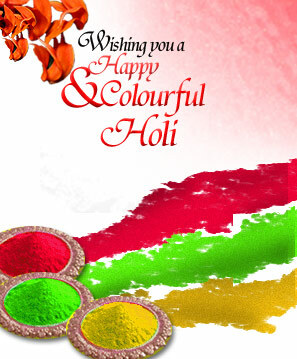 There is a check on reveling in manifastation of festivities. 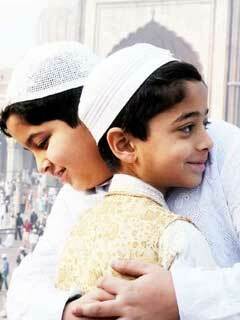 For Muslims, Id-ul-Fitr is a happy and festive occasion . It comes at the end of the islamic mouth of Ramzan. 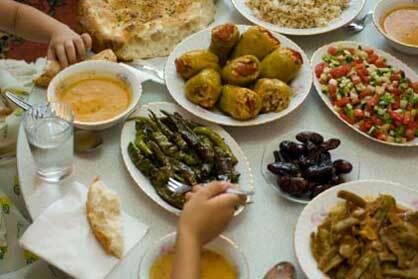 During Ramzan, Muslims keep a dawn-to-dusk fast. 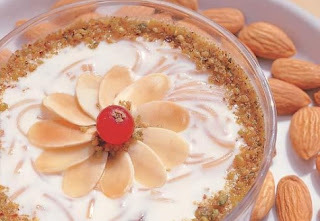 The last ten days of Ramzan are called Lailut-ul-Kadar -the nights of power; it was during this period that the Quran is believed to have been revealed to prophet Muhammad. The Shias mourn the death of the prophet's son-in-law on the 21st and 22nd of Ramzan. On Id-ul-Fitr, every Muslim must give alms to the poor ( fitr means alms ), wear clean clothes, and join his bretheren in Id prayers. 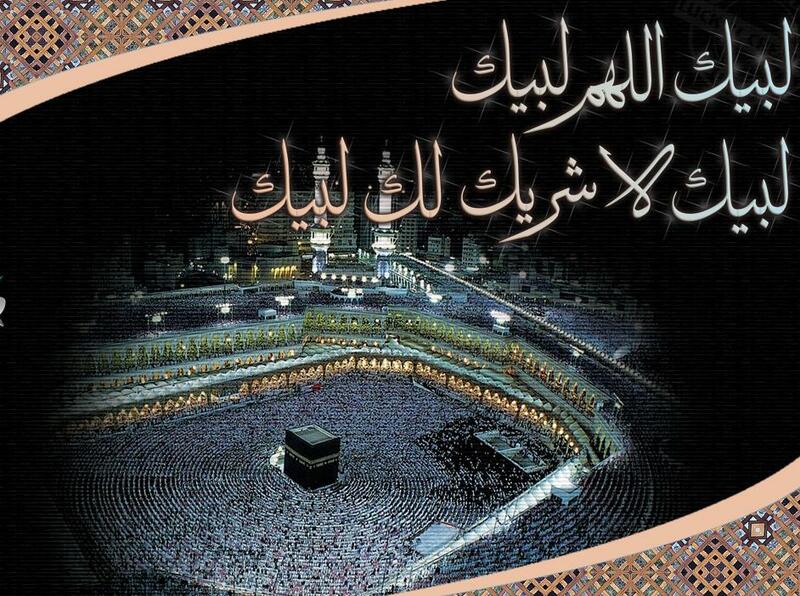 Id-ul-Zuha (also called Id-ul-Azha or Bakr-Id ) is another occasion of rejoicing. 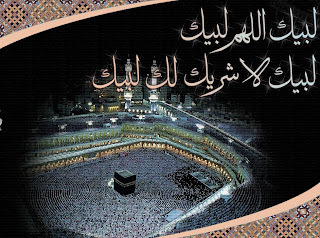 Hazrat Ibrahim was ordered by Allah to sacrifice his son Ismail at Mina, near Mecca. Just as he was about to apply the sword to his son's throat, it was revealed to him that his faith and obedience to Allah were being tested and he could sacrifice a ram in place of his son. Prayers and feasts mark the occasion. 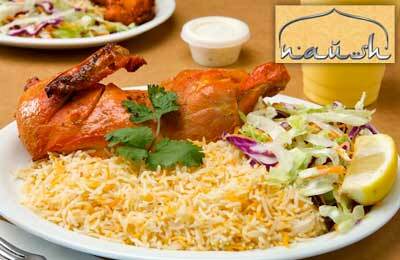 Muharram comes on the tenth day of the first islamic month. 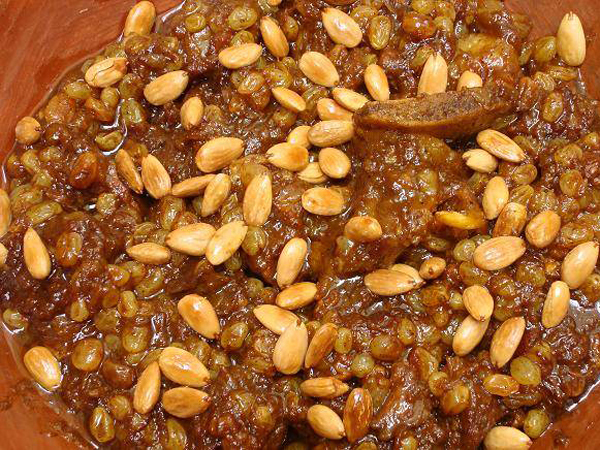 It commemorates a tragedy in the history of Islam, namely, the martyrdom of Mohammed's grand son, Imam Hussain. 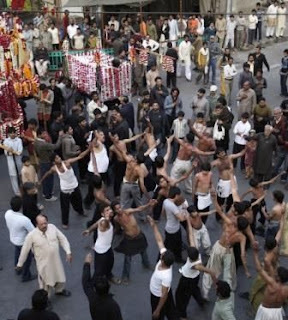 Though it appears festive with colourful taziahs (a taziah being a model in wood and paper of the tomb of the martyred Hussain), it signifies mouring and the marked dancers in tthe proccssion are mourners. Beside these occasions, there are several shrines whers the death anniversaries of saints are held at their graves by devotees. These days are called Urs. Prayers, recitation from the Quran, singing of Qawwalies, and offerings of flowers and costly sheets at the tombs mark these occasions. Among Muslims in India, a type of marking with the Allah occurs during the festivals by partaking of the barkat or blessedness of an examplary pir or saint, invoking the exploits of the prophet, or chanting the holy Quran. 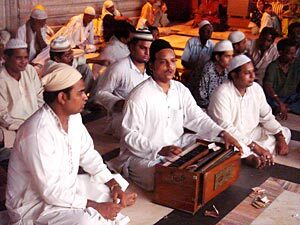 At Sufi shrines, a number of qawwali and darvesh song events may be performed concurrently throughtout the night. A particularly interesting feature of mysticism in India is that it serves as a meeting ground for Hindus and Muslims; indeed fairs and urs are often attended by both groups. Dara Shukoh __A Philosopher and Athiest !